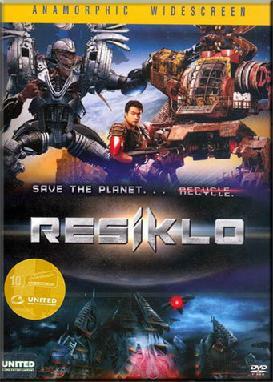 If you know what I’m getting at, RESIKLO is actually an ode to some entertaining sci-fi, action big-budget films of the 80s/90s. It’s basically a mid-90s period-piece, action/sci-fi flick. What I like about this film is that it’s fun and takes itself seriously (if it took itself jokingly, then it would be like a “wink-to-the-audience” spoof film which I’m not crazy about – Space Balls is an exception). It seems like it’s a kids film, but it’s actually very violent with stabbing, blood, heavy machine gunnery. So, it’s basically an action film for everyone I guess, but more marketable for teens. The special effects are very impressive and the spaceship/robot machinery scenes are pretty awesome – not up to the level of robots in a movie like Terminator Salvation, but pretty close. RESIKLO is more stylishly done like a live-action anime film. The people blend very well with the CGI elements which is a huge plus for me (poorly done in Star Wars prequels). The star of the film is none other than Philippines superstar Ramon “Bong” Revilla Jr. You gotta love that name. He’s known as the Arnold Schwarzenegger of the Philippines. Besides acting, he’s also a popular senator in real life. He ain’t the greatest actor but he has an interesting presence about him – sort of reminds me of Roddy Pipper. The Thai PAL DVD is very good. It’s anamorphic widescreen with original Tagalog DD 5.1 audio. The video is excellent, bright and crisp – nothing really problematic with it. And the audio is pretty active. 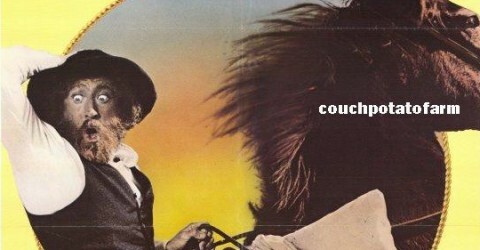 RESIKLO is one of the first Filipino films to have surround sounds. As it played in theaters in Philippines, I read online that Filipinos were excited that RESIKLO was the first film of their own that had a Dolby Digital sound design. The English subtitles were very good with a slip up here and there, and there are no extras on the DVD. There is also a Full Screen Philipines NTSC Region 1 DVD, but I prefer my movies to be not chopped up, so the only anamorphic widescreen version that exists is the DVD from Thailand. Okay Philippines! Now you are getting somewhere! Good job!